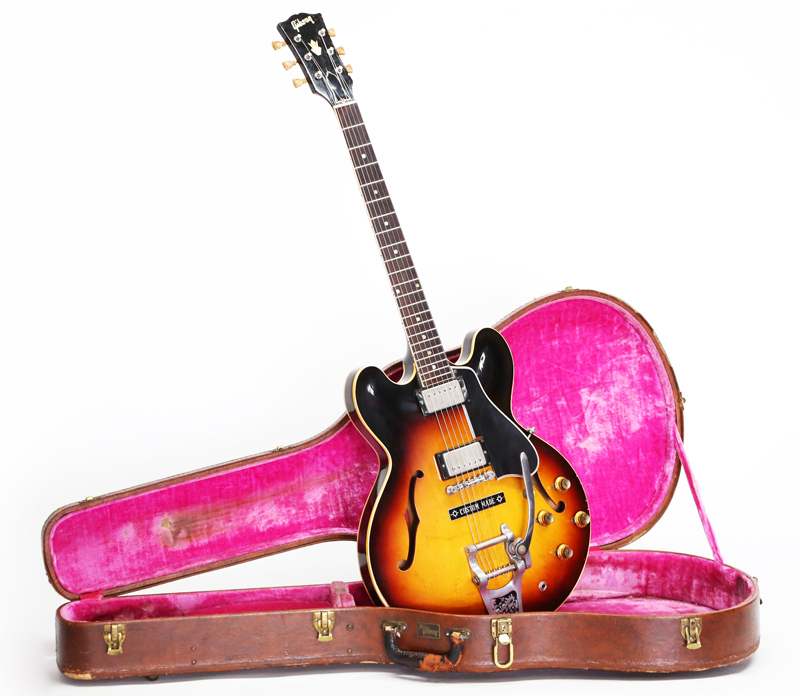 "For your consideration is this vintage 1960 Gibson ES-335TD semi-hollowbody electric guitar. 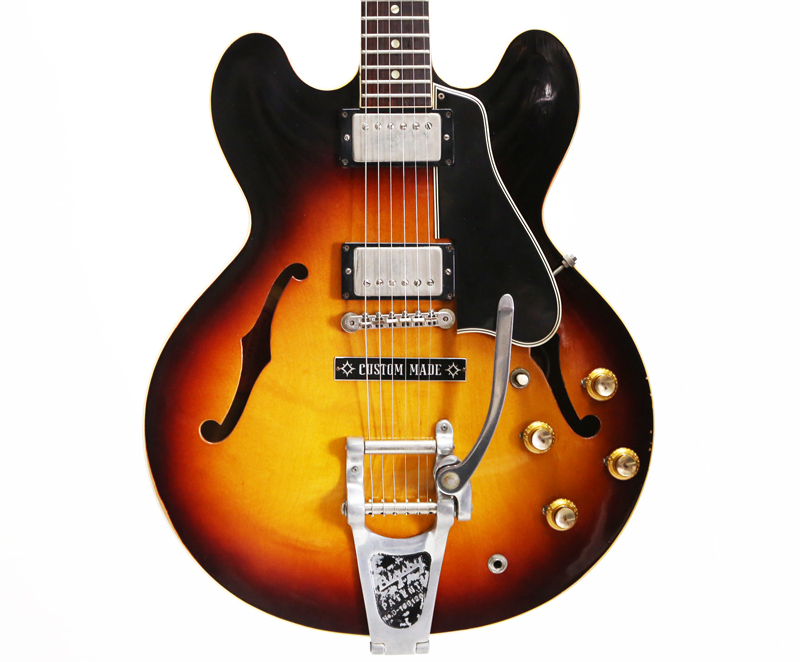 This particular "Custom Made" plaque example, serial number A34810, is in very excellent 100% all original condition, and features; a factory installed Bigsby Vibrato tailpiece, the original hard shell case, and original half-white Zebra PAF pickups! This respectfully enjoyed example remains original and unmodified, and though it displays a subtle authentic mojo, is still simultaneously capable of being considered a highly collectible investment-quality piece. As far as electric semi-hollowbody guitars are concerned, this is the absolute pinnacle: the standard by which all others are measured. And there are also those who consider the ES-335 to be comparable and equally as functional to a '59 Sunburst Les Paul, so take advantage of this offer, because we spent hours looking for the most affordable example... and priced ours lower for a quick sale. 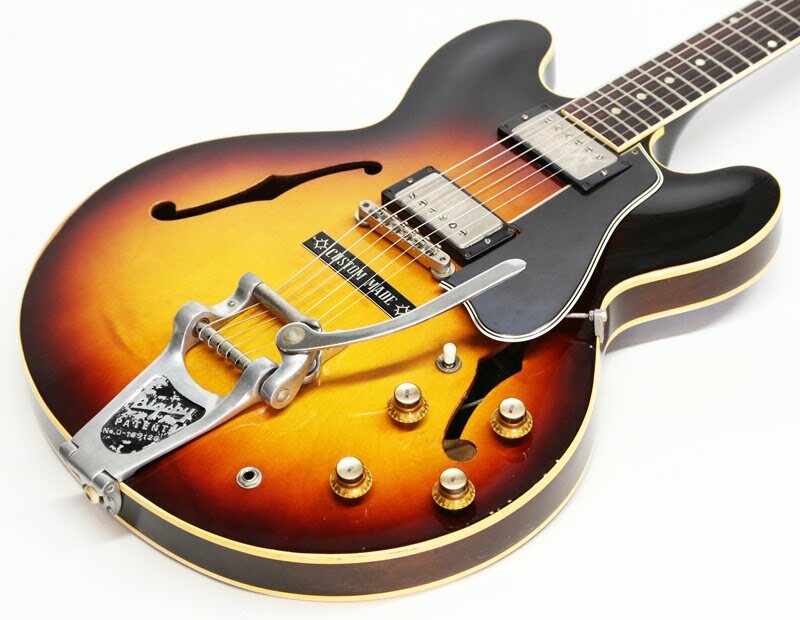 This '60 Gibson ES-335 features: (2) Zebra (black/white bobbin) PAF humbucking pickups with original unmolested Nickel covers, the original vibrant sunburst finish, bound maple top and back, a 1-piece mahogany neck, a Brazilian rosewood fingerboard with Dot inlays, the original factory installed Bigsby Vibrato tailpiece, the original "Custom Made" plaque, Gibson ABR-1 with the original wire, original long (profile) pickguard, crown peghead inlay, Kluson Deluxe single-line/double-ring tuning machines, gold reflector knobs with gold inserts, original pickup rings, and the original Brown exterior/pink interior hard shell case. Having been all but forgotten, this particular guitar was recently removed from the closet of the original owner. The strings had oxidized, the original tuner buttons had shrunk, and the guitar hadn't been played in nearly 20 years. The same conditions that created the aforementioned deterioration, also otherwise preserved the guitar. The finish remained un-faded, with un-polished lustrous sheen, and the consistent temperate environment prevented the finish from developing serious weather-checking. The nickel hardware displays an even and attractive patina. The original case is in good condition, though the handle appears to have been changed sometime in the '60s."